I own camera from different manufacturers. I believe we consumers should not be brand loyal, but the brands should be loyal to us. I've used D810, D850 with some of the best glasses. I had the Nikon 105mm F/1.4 E, Nikon 200mm F2G II ED, Tamron 90mm F/2.8 Macro and many others. Then I tried out GFX 50S. Five minutes. I powered on the camera, took some photos, decided then and there that I want GFX. Purchased it next day with the 110mm F2. Now, GFX is slow. It is a medium format camera, I don't expect it to be fast. So I also purchased a Sony A7r III with the 85mm F1.8, which is very very sharp. The reason I've said all these above is because I used D810, D850, A7r III, and none of them come close to the GFX 50S. However way you are trying to justify it, GFX images looks cleaner, more detailed and sharper than any other cameras I have used. And I have used many. I used to worry about image quality whenever I was hitting ISO 400 or 640 with my D810 or D850. I don't like to process noisy images as there isn't much headroom. With Sony, I start to worry maybe over ISO 800 or so, but with GFX I don't worry even when it hits ISO 2000, I know I have the headroom for edit should I need it. The GFX also has a much nice tonal gradation. Yes, the files are still 14-bit. But at same settings, GFX would give me amazing tonal gradation, shadow to highlight change, light to dark areas are smooth, I can't get that from A7r III, D810 or D850. Not as good as GFX. The GFX lenses are super sharp. Amazing. With LR the default sharpness value is now 40. I drop it down to 15 because I won't need it. With Nikon I remember pushing it up (back then it was 25 default value in LR). Nikon 105mm and 200mm lenses are amazing, but they can't match the Fuji 110mm for sharpness. I use many cameras, I am not a fan boy of GFX. I love my other cameras too. But just like GFX can't keep up with A7r III when the performance is needed, nothing else can keep up with GFX when image quality is needed. There is something in the GFX. You have to use it, and only then you'll see the differences. You can't just run clinical tests and determine if they are same. The way a camera works, every little things, added from different aspects of using and getting that quality, you can't quantify it. It is pure quality. Yes tonal gradation is phenomenal. Other formats are good as well without direct comparison except mFT cameras where tonal gradation is visibly worse than bigger formats. The problem of this article is that it hides the actual intention. The intention (I guess) was to show that one can get almost equal IQ out of Z7, when certain conditions are applied (closed down aperture, matched light gathering, non-edited RAW exported to JPEG). Anyone who has actually shot these systems, and/or edited the RAW files, knows that the this IQ comparison does not held so well anymore, when other shooting and postprocessing conditions are applied, and the MF will come more clearly ahead. I can also get almost equal IQ out of 24mp APS-C vs. 24mp FF, when certain conditions are selected. Once again, apply other conditions, and the 24mp FF will come clearly ahead. 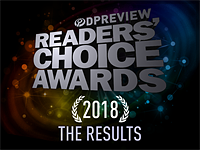 Might be hard to deny victory for the Z7/D850 in terms of overall usability across a number of different genres (especially with the grip and larger battery). @ CAT Productions Not denying it at all. As I said, I also use A7r III. Its performance is great. Wherever I need performance, faster AF, tracking etc. I use A7r III. GFX 50S is in its own league, for image quality. No FF is beating that. 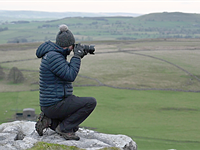 But for other tasks, action or fast shooting, continuous or otherwise in tricky conditions, FF cameras like Z7 / A7r3 / X-T3 will definitely do much better. Laukkart and Manzur, you are exactly right. I evaluated a GFX 50S over a weekend - image quality is stunning, portraits in real world use are clearly superior to full frame IMO. In the end I decided not to buy into the system at this time as overall performance is too clunky for my needs. But for a studio or landscape photographer there are meaningful gains. So, a 4-5 years old sensor keeping up to lastest BSI design? Can’t wait to see the GFX100. Will the new GFX100 be 16bit? The new 100MP Phase & Blads are 16bit, and there is a notable difference there. The sensor in the Fuji was first used in a mamiya camera in 2010 than Pentax 645 in 2014, so much older than that. Phase one already has a 150MP sensor with BSI and 15 stops of DR out. To be fair, the chip in the D850 isn't brand new anymore either. The d850 was released late 2017 not 2010 that’s still 7 years newer. Medium format had 100mp BSI sensor with 15 stops of DR at that time. Nikon Z7 has the best compromise with the full frame sensor, while Fuji can only offer the APS-C and the mini digital format cameras with a large price gap between the two. As a APS-C Fuji X user, I wasn't convinced with their marketing message to spend 4500+ dollars on GFX body for a jump in IQ when full frame cameras like the Z7/D850 can be had for 3000. If I need to pixel peep at %200 to see my gear slight advantage, I'm not spending my money wisely. I don't care what your "trained" eye has to say. I find the Fuji system more appealing. I really enjoy using compact lenses like the GF 63 and upcoming 50mm. Ever tried a Sony 55/1.8? I dont see any differences between cropped medium format and FF cameras. Comparison shows I could easily and happily live with either. Taking price in comparison, it's not really a contest, is it? Luckily my photography doesn't require backup. Back when I used to shoot all film, for advertising and commercial use, clients would often prefer larger format transparencies but often not for image quality reasons. Larger formats held the advantage for viewing on lightboxes or contact sheets and for measuring and scaling before sending for scanning. None of this is an issue now and for most uses medium format has lost much of its advantage. In the film days I shot with a Rolleiflex and there was a clear and obvious difference between 35 mm and 120. Here we seem to be scrabbling around for tiny scraps of difference, which are unlikely to be significant for much of the photography seen on dpreview. Mostly because this particular medium format sensor is smaller than original medium format in film day, as well as a much older sensor. Phase one has modern medium format sensor and there you will notice the difference. This sensor was in the Mamiya camera in 2010 and Pentax 645 in 2014, so it’s a 8 to 9 year old sensor at this point. Phase One uses a 150 mp Sony built bsi larger sensor now, with 15 stops of dynamic range or the still available 100mp with 15 stops of dr that came out in 2015. These sensors are the original 55 by 40mm instead of crop medium 44 by 32mm. The modern phase one sensors also have iso 50 to iso 25,600 base, which this old sensor in the Fuji only has iso 100 to 12,800 base. And how much is that Phase One modern medium format sensor? Most likely MORE than the GFX50. Youse gets what youse pays for. Given that the difference between FF and cropped MF is half the difference between FF and APS-C, one wouldn't expect a huge difference *unless* the difference in the quality of the lenses was huge and/or there was a large difference in the pixel counts. And yet apparently: "There is something in the GFX. You have to use it, and only then you'll see the differences. You can't just run clinical tests and determine if they are same." FOV. The "medium format look" is just as real as the "full frame look." Comes from the different perspective the focal lengths give on MF. It's even more compressed than FF. There is more to making a photo than the aperture of the lens and/or the pixel count of the sensor, so, for sure, there can and will be other differences that may be more important (Foveon sensored cameras being a striking example of this). However, for those who talk about the "magic" of the GFX (or any camera/lens), it's generally either just their enthusiasm getting in the way of the facts or genuinely some difference that is normally not measured (e.g. veiling flare can make a marked difference). Perspective is a function *solely* of the position the photo was taken from. 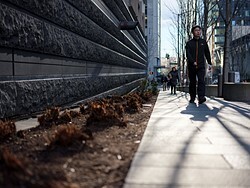 Focal length does not figure into "compression" other than how it might influence where you are when taking the photo. On a crappy run of the mill monitor I see no difference. Nothing. On a good 4k monitor, I see a difference. The Fuji is sharper, not a huge amount, but it's there. Also less ugly noise. Overall, I'd say the Nikon is giving you 87% for sure, 90% possibly of the performance at a lower cost. What we see here is the law of diminishing returns kicking in. You can even drop the Z7 to ISO3200, if you want to "compensate" the ISO64 advantage. The Nikon does seem to have a lackluster JPEG engine. Fuji's always been good at JPEGs. I'd wish Dpreview would provide RAW comparison with standard ACR NR applied as well, as high ISO RAW comparison is quite useless otherwise. Then there is the way the RAWs behave in postprocessing that these tests cannot show. For that, one must download the RAWs and test themselves. Highly recommended to those who want to study actual differences - especially for MFT - APS-C - FF - MF comparison. And in certain different use cases, 3:2 and 4:3 aspect ratios will have significant difference. photofan1986 You may have noticed that this article uses JPEG files to compare 35mm to MF. One can see from the links I have provided how not so good of an idea that is. Comparison of JPEGs in general is pointless. They do not show the differences, as they are compressed with limited DR and 8-bit colors. The ACR will only "normalize" colors, sharpening, NR, and the JPEG engine. More or less, presenting the images as JPEGs more like hides the potential differences. You can repeat this test of "no visible difference" to great degree on pretty much any system with nearly same resolution, as long as the lens is decent enough. You can observe this from the 2nd link, which compares 20mpix MFT to APS-C and 24mp APS-C to FF. Feel free to change there JPEG to RAW if you like. laukkart - In fairness, almost everyone will be viewing these images on 8-bit monitors with limited dynamic range, so the use of quality 11 JPEGs isn't going to get in the way too much. Ultimately you cannot directly view Raw files. Still, the Raws are there if you want to process them yourself. Indeed they do. But frankly, that does not improve the position of this test at all, rather opposite. It kinda feels weird to defend importance of RAW and postprocessing here - on a "photography" site. Comparing images with the Studio Scene Comparison Tool definitely shows some difference between the "Mini Medium Format" and Full Frame. 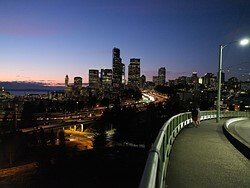 Much more so than the the urban night skyline samples in this article. Wow, those are amazing REAL WORLD examples. Good luck to match this level of IQ with the D850/Z7 with any 50 mm. People who think than FF can match the same level of IQ from the 44x33 are day dreaming. The GF 63 mm is also the "weakest" lens in the GF line. And the 35 mm lens used on the Z7 is hardly top of the line IMO. The Z7/D850 are the superior all-around cameras, clearly. @sts2: nope this is just reality. The GF lenses are simply incredible. I have both the 63 and 45. The latter is even better. Crop factor? I would like to see something getting bigger by cutting away something of it. The term conversion factor would be more appropriate. And no, the factor is 0.79.
close but I still see the appeal, just not enough to justify the purchases. But definitely richer colours and deeper dynamic range. To my eye the noise levels are near indistinguishable, even into the darkest tones, so I'm not sure how you're concluding there's deeper DR.
FIne detail just popped out to me a bit more is why I said that. Have I miss spoken? Images look so very similar to me. Nothing new here that hasn't already been previously covered: comparing two cameras and lenses under very specific circumstances where both function very similarly. Nothing wrong with that, but other than that, the cameras behave differently with advantages on either side (for example for sports and action, definitely Nikon is superior, people can find examples on the other side). But the comparison ends there. Fuji super full frame or medium format is a system and that comes with lenses, accessories (the tilt finder, for example), new cameras in the future, software, etc. All of these targeted to a different genre of photography. 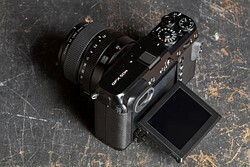 The Fuji sensor just isn’t large enough to get over the disadvantages it has compared to a FF system. Buy a a D850, Z7 or equivalent high megapixel FF camera and get very close to the same image quality. In a smaller camera with a far larger choice of lenses. Very true. Well said. Those two lines should be retained as a summary. But, many lenses isn't necessary for purists. One can make all of his/her photography out of two lenses: 32-64 f4 and 110mm would cover a lot. Ultra shallow depth of field is usually kitsch except in a few instances, but here is the real strength of medium format. You can capture in a single photo a wider field of view without a lot of extra depth of field. In many instances, you can make a single photo that would require stitching multiple photos with smaller formats. For sufficiently large prints, that smoother roll off (gradation) from highlights to shadows in nicer in medium format. A strength that was/is true with medium format film images. But that and many other comparisons with FF are mostly academic. Most of the images we look at are viewed on relative small screens these days. Unless you are a pixel peeper, you care about the photo as a whole and view it as a whole. The MF camera will have have the upper hand when poster-sized prints are made. After downloading the Jpegs and looking at these pictures side by side I really can't see a difference between the two. Maybe if you zoom in there's very slightly less noise but that isn't how you enjoy looking at photo's. There certainly isn't the "night and day" difference you'd get between 35mm and MF when shooting film. So any purchase would come down to lens availability, portability and system support. The Z7 has it then! Try downloading the raw files, open in Lightroom (or preferred editing software) and recover the shadows in both images. Side by side with a plus 5 stop exposure correction on both images - the Nikon doesn't hold a candle to the Fuji. You mean the D850 has it. The advantage of 'medium format' film over 35mm film is almost always much greater than the advantage of the Fuji 'medium format' sensor over the Nikon sensor. I shot 645, 6x6, 6x7, 6x9, 6x12 and even greater on film, and when comparing 6x9 (also 2:3 like 35mm) to 35mm film there is an amazing difference due to the much greater area upgrade. Even the largest digital MF sensors are still very slightly smaller than 645 film format. A 6x9 sensor with today's best technology would create amazing files, although at a staggering price and a not always worthwhile upgrade in quality. I shot a lot of 4x5 and 8x10 as well, professionally, and the difference centred more on aesthetic considerations than straight image quality. I might try it Adam but I really can't see what advantages there are to be had. I really don't like images where the shadows have been lifted more than a teeny bit because it looks so unnatural. I agree with you Hugo808 and this test is definitely on the extreme end, but sometimes it is a necessity to pull back shadows and does show the advantages the larger sensor of the Fuj , and if you open up those details in the corners the Fuji is much sharper in those areas. I would like to see a test of an image that has a greater dynamic range than these two with the highlights slightly blown out in both for a good comparison of recovery there as well. I suspect that the Fuji would show some advantages there as well. The most impressive part of the image quality test against the Z7 is the corner performance of nikon's 35mm lens. The same people who say "micro four thirds is dead because it will always be limited by its sensor size" are often the same people who shrug off Fuji medium format's 70% sensor size advantage. Nikon has ISO 64, yes. However, there's a CATCH to ISO 64. It requires a slower shutter speed to achieve the same exposure. There's no free lunch, and you can't beat physics. 5) a wider field-of-view from your lenses, meaning more coverage and less distortion. This is HUGE! I fully expect the GFX 100s to blow the doors off if it's full frame competition--but at a price. So called Fuji colors are good for Insta Repeat only. So many people taking so many look a like dull and boring photos. The larger sensor is slightly better. Not enough to get past the increased weight and smaller selection of lenses in my humble opinion. But that's because there is OBVIOUS advantages that can be seen when comparing FF vs. 4/3 images. Resolution, DR, noise, shallow DOF capability, etc. are all higher by a fair margin when you get to the extremes. This Fuji is not better for DR or noise than the best FF sensors here. Resolution is slightly higher, but not by as much as the price or sensor size would suggest. The jump from 4/3 to high end FF can be substantial. FF to this MF system...not so much. It's better for certain scenarios, but for the price, limited lens selection and all the other caveats of MF it's not worth it for most folks. And...the 400% greater area FF offers over 4/3 is a lot more appreciable than the 68% jump you get with the Fuji...just saying. Not so fast, tough guy. We'll have higher MP count FF chips soon as well that should also improve quality on the FF front. The arguments for medium-format vs full-frame are the exact same arguments for full-frame vs. APS-C.
Well not exactly because most apsc cameras can use the same lenses as their FF big brothers. Medium format just has far fewer choices in lenses. You must have done something wrong in your workflow or maybe there is a bug in the comparison tool - the "MF look" is clearly missing from the GFX image. GFX sensor size is 43.8×32.9mm, compared with FF 36x24mm makes it not that much bigger. It is actually about half the size what was considered the smallest MF back in the film days - 6x4.5. How is there denial and sour grapes going on? We're comparing two pictures taken specifically to produce a reasonably scientific comparison. I'm sure that your confirmation bias is going to tell you that your expensive photo gear is giving better results in an apples-to-oranges situation. That's not even a bit surprising. You are probably came up from Fuji apsc right. So yes in that case the results would be noticeably better. This is no different to when we had film cameras. MF is a step up, but you needed to be printing large prints to see it. That 100MP sensor should make a difference though, but again, probably only at large prints. There was an improvement in IQ between 35mm and MF without blowing the pictures up. I know, I used to use both systems and print my own. You'd get a better "density" to the image, more tones, finer grain. If you could be bothered to carry one around MF was win-win all the way. It’s more than just resolution, GFX files just POP when you view them, they’ve got that wow factor. If you don’t shoot wildlife or action it’s a good move..
Now, if Fuji combines that new 100MP sensor with pixel shift (not high resolution, just to eliminate Bayer) that would be fan-tastic! To my eyes, without printing it, the two are indistinguishable, both for resolution and cleaness of the file, z7 may have slight edge. Some regions are better by z7 some are better by gfx. I notice more halo in gfx, than z7, not sure if that is the lens or sensor. DPR....Is there a physical, theoretical, or practical limit to the resolution possible with full frame? Does it depend on the lenses? Is there a limit to the resolution of any lens? And most importantly, does this possibly ever matter to anyone who does not hang full sized billboards in their living room? 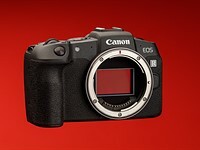 I believe that Canon (an others) have already built and demonstrated full frame sensors on which they can get well over 100MP. I assume that they would have put these into their cameras already if it were economically feasible and if the lenses were up to the task. I see this as the only way they will be able to compete against Sokon. But I am not sure why they would or why we would even want them to. Yes there are. You cannot make a refracting (glass) lens faster than f/0.5 and your maximum resolution is directly tied to aperture and DoF (larger the aperture higher the theoretical resolution but thinner the DoF so less in focus) and for more DoF (smaller aperture) you will have issues with diffraction limiting the resolution. It's also about the glass. Good luck finding anything like the Fuji 110 that fits the Nikon. so it isn't about the sensors. I guess I'll just use my phone and sure I could get 40 inch prints, if only I had the glass, darn it. I'm sure you can print 40" images even from 2MP camera with plastic lens. "It's also about the glass. Good luck finding anything like the Fuji 110 that fits the Nikon." ???? You are saying you have more and better choices with Fuji? Can you tell where you get your Kool-aid? @kpaddler Not more choices, of course. But the Fuji 110 is the better choice. Few if any lenses come near it when it comes to rendering quality. The other Fuji lenses are quite good (and deigned to resolve 100MP), but the 110 stands out. 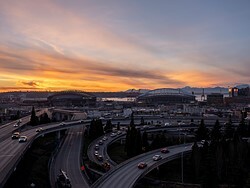 If you haven't looked at results from the Fuji 110, please do. I think the article misses the point. The better comparison would be comparing the GFX to Fuji's APS-C lineup. You see, Fuji already knows there is little difference in competing formats one step removed from each other, it's why they didn't make a FF system, they jumped right to medium format. APS-C has been running away from m4/3 in IQ for a few years now. That's only true for APS-C users, I guess. For the FUJI *Bokeh aficionados* the APSC keeps right up with the GFX, and shooting that type of subject matter, they're probably more flexible too. However, stepping up to 135, and selecting modern fast glass, the GFX doesn't compare. I'm still looking for a good reason to buy into these cropped MF sensors. In all fairness, the Phase & Blads sporting the larger sensors are barely worth the massive investment. Back in the film days, a Blad with a 110/2 was just about equivalent to an 85/1.2 on the smaller format. It all gets convoluted, complicated and confusing when you get into the weeds. YMMV. "That's only true for APS-C users, I guess." Yes, as m4/3 is no threat at all to FF, and 1" is close enough, despite the size difference. No difference - And those who tell different are sole lyers. And yes I am a professional with a trained eye! 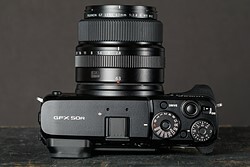 Fujifilm made a mistake with the GFX - They should have gone FF instead. They could have better chosen to eat the tail from the APS-C market and slowly move their users over. The focus is on Full Frame and here is the reason why in the end it would have been the best choice for them. The difference is too small, too expensive and the lenses for the GFX are too slow and the system in the end is too heavy. I am not saying its a bad system by the way. But it is not able to compete enough. I can see the difference, as others have said, including the author of the article. Maybe your eyes aren't as trained as you thought. I would buy one of these in a heartbeat if I could afford it. MamyaMax - Or.. .your view is just biased, like some others. As said the difference is negligible and not noticeable. If you couldn't compare these side by side and you weren't told which is which. I am sure you couldn't tell the difference between them and you had to gamble your best guess. The difference in IQ is next to nothing compared to the huge price difference between these systems. You said no difference. Now you are saying it is negligible. So appararently you can see the difference afterall. For some of us, that difference is what we are after. So, don't say there was no difference, and then change your tune when confronted. You are nothing more then a sad troll - get a life! I'm a troll because you changed what you stated mid debate? Doesn't sound like you are trained in anything. The mistake was not contracting Sony to build them a new sensor from the ground up. You're dealing with 2013 tech with a few tweaks here. Of course it's not going to look amazing compared to what's out now. As with everyone else, first gen teething issues. Fujifilm had better asked Sony to develop a complete new 50MP (or smaller MP) sensor with PDAF than to up te resolution into the 100MP territory. Devil is in the details. Download both raw files and open in lightroom then recover shadow details and you start to quickly see where the medium format sensor of the Fuji shines. Duncan, I am sorry that you cannot see a difference.but I sure can. I just don't think that any difference justifies owning the system as that difference is too small for my purposes. However to say anyone is a liar for saying that he/she can see a difference is honestly not warranted. It reminds me of those who claim that no one can tell the difference between a $100 and a $10,000 audio amplifier. Nonsense! For what it's worth, I can see the difference between 4/3, APS-C, full frame and medium format very easily. If one cannot, he/she is not looking at the right things such as apparent depth to the imagery (no, not depth-of-field but rather depth and contours of the subject matter). This is where most of the difference shows up along with differences in dynamic range. And yes, like you I have been a professional photographer with a trained eye for most of my life having first learned photography in 1963. Well sure. That sensor is 2.5x bigger than the D850, and the lower ISO allowed eats some of the D850 equalizer versus the GFX50S. Congratulations, you point out the obvious. From what I am seeing, they look very close. Perhaps those of you who see a great difference could explain what it is that I am missing. The GFX system is going to live or die on what can be done with the 100. As much of a fujifan as I am it's my understanding that MF comes with significant performance disadvantages over FF. A microscopic advantage in IQ is not justification for the system. Fingers crossed for the 100. In another comparison of the Z vs the GFX there were significant edge advantages to the Fuji based on lens sharpness. I'm not seeing that here. I tried out both the Fuji and Hasselblad systems and found that yes they do have the capability of superior image quality over full frame, the difference is so small that I concluded that the difference in price was just not justified especially considering the Fuji lenses especially are very big and heavy. Especially now that I own a Nikon Z7, the difference that I see is even less. Frankly, I think that the rendering and color from the Z7 is actually better than the Fuji. Judging solely by the images (crops) compared above the GFX50R wins hands down big time. Different aspect ratios, but the Nikon Z7 image is slightly wider in horizontal direction, so I think the magnification is not exactly the same. Calculator gives me a 36,9mm lens to match the Fuji 45mm lens horizontally. The diagonal FoV are very similar, so I composed the shots to mean the Z7 was a bit wider and the Fujifilm a little taller. This meant the overlapping area used about 95% of the Fujifilm's pixels and 93-point-something% of the Nikon's. The common area is about as comparable as I could make it. 0.8x MF clearly doesn't have much IQ advantage over the best FF cameras in market. FF camp still has much more lens choice, third-party support, peripheral options, much smaller/lighter, much versatile and much cheaper. For the best IQ, only 0.64x MF from the Capture One has distinguished IQ advantage. Fuji made big mistake not bringing to GFX 50R at least 64iso base. If it put 50iso it would be first choice for landscape shooters. So they have lost already this chance. It's on Sony sensor so they only can do what Sony offered them. All Fujii APS-C uses Sony sensor and they have 200iso base (exluding last X-T3 with 160iso) while Sony APS-C have 100iso for a log time. A public 'secrete' that Fuji did so purposely on so-called ISO cheating to give illusion it has better high ISO by sacrificing base ISO DR. They are targeting those buyers pay mainly attention to high ISO. PWP - Sony sensor didn't stop Nikon from using ISO 64 on the 36MP sensor of the D810 and A7R. This sensor is from 2013. Same as in the Pentax 645Z, with a few tweaks. @FuhTeng Arguably if ISO 64 sensors used in D810 and D850 are Sony sensors? They are Nikon designed but likely manufactured by Sony. Sony improved sensor readout noise in A7r III that has basically the same base ISO 100 DR as D850 at ISO 64, then lead DR beyond respective base ISO all the way up. It is also has better dual-ISO gain implementation - ISO 640, 2nd base ISO. Now in next gen 60mp Sony FF sensor, Sony also moves base ISO to 64 but with 16-bit RAW and wait and see if it significantly improves base ISO DR.
That new sensor opens to other companies as well. However to best leverage the sensor they need to use Sony processor as well that unlikely Nikon will do. "Arguably if ISO 64 sensors used in D810 and D850 are Sony sensors?" Same base sensors as in the A7R and A7RII/III, respectively. 45mp D850 (or Z7) certainly is not the same sensor as in 42mp A7r III. If you search there is report suggesting it's not a Sony sensor but Nikon designed Sony manufactured sensor. Guess maybe a different definition of sensor origin. My lesson? I love ISO 64. If you told me that those two images were taken with the same camera, 10 seconds apart, I would totally believe you. It takes vigorous pixel-peeping at 100% of 50MP (i.e. sticking your face right up into a 40" print) to distinguish the difference. when "Multi-frame-computational-photography-engine" equipped with APS-C, the gap of IQ to Medium Format sensor will be just a hair different. You can't just beat physics. Also, computational photography is not *that* easy and flawless. Kandao Raw+. While the detail won't meet MF, the tonality certainly can. @BlueBomberTurbo - Will take a look at it, thanks. However, tonality is simpler than details but, it's no small feat. Similarly Photolemur can do such tricks with single JPEGs by using machine learning techniques and computational photography. I use it sometimes, if I'm too lazy to retouch or adjust a photo. I generally get good results from it too. Since our eyes have less chroma resolution then luma, faking our eyes and brain on the color front is much easier. Details and luma sharpness are the harder parts. No doubt AI and computational imaging will make a huge difference in IQ but that will take many years for these big companies to implement well. Right now some have to decide between FF and the Fuji. "However, tonality is simpler than details but, it's no small feat." Correct. Color and tone are also oversampled, besides detail, resulting in extremely smooth transisitons and more accurate color at high ISO, where color casts can and will appear. You'll see it in the very first set you shoot, even at base ISO. I've tried that. It's cool, but leaves out any kind of creativity on the user's end. Kandao ingests and spits out RAW images that have not been altered beyond increased quality. Photolemur is just a secondary tool for me. I sometimes throw an image at it to see how well it does, and see whether its interpretation aligns with mine. If I like the result, I keep it. If I don't, I process it myself. However, it's not part of my primary processing pipeline, but it's too good to discard just because it provides so little control over the image it processes. Will try Kandao when I have time. Currently life and weather is pressuring me, so I cannot just grab my camera and go shoot something. Hardly any resolution or SNR difference is there? No surprise, the Fuji GFX is not really "medium format". Call it Full Frame Plus (FFP) or Medium Format Lite (MFL) but everyone in the pro market knows the GFX doesn't have a proper medium format sensor. There are only effectively two digital formats bigger than full-frame: 44x33 and 54X40*. It would be madness to have to invent a new name for one of those, simply because you could make film in sizes other than that. *I'm treating the Leica S's 45x30 as a 3:2 variant of 44x33. Richard, I hear you but we are already used to a myriad of sensor formats thanks to their wide use in cell phones and cameras that range from point and shoots, to 1 inch, to M43 and Micro43, to APSC and APSH, to FF, and to MF. None of us has gone crazy to date. So it's not "madness" to label Fuji's GFX as MFL, it's simply more precise. In the end it is just another acronym in a long list of sensor acronyms anyway. There's no sweat off your or our backs, it is only Fuji Marketing who will fret that they are denied the equivalence claim to be called "medium format". Old sensor is old. The next gen that's on par with the FF of the time will blow it away. MF will support a MUCH higher resolution over FF for the same IQ. At the same MP, MF should be a stop or two better, all things equal. True MF size (6x4.5) will decimate anything, even at high res, but don't expect that any time soon, if ever. And that's the issue here. This is the same sensor that began life in 2013's Pentax 645Z. It's, of course, received upgrades along the way, but they can only improve things so much. "The next gen that's on par with the FF of the time will blow it away." Unlikely - Pixel density of the new 100MP sensor is exactly the same as a 26MP APS-C sensor... There will be no difference except for the gain in resolution. Take a look at the X-T3 and you will already know how this sensor is going to perform. Good thing I'm not into MF, or I'd be disappointed. All that money for subpar quality. 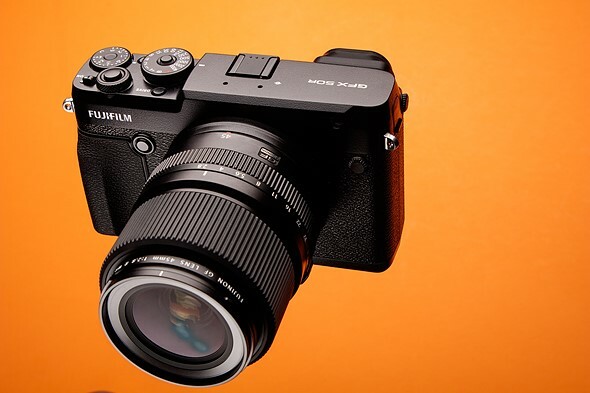 Rather them upgrade at 50MP and use full 16-bit RAW, as the sensor would actually capture that much DR.
Fuji made a mistake and should have gone with the 55 x 41mm MF sensor instead of the smaller 44 x 33mm. 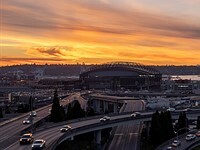 These are great test images. It has everything a landscape photographer would want to compare. DR, sharpness, noise, etc. Looking at the images, the fuji has a tad more resolution and tad less noise. But it's not that much better to justify the extra cost and the jumping to MF. Had fuji picked the 55x41 sensor the difference would have been huge. Sure it would have cost more. But They could have offered an $8k-$10K 150 MP camera that would have been easier to justify than their current offering at $5K or so. Fuji didn't make a mistake, they are dependent on what the sensor manufacturer (Sony) has available. 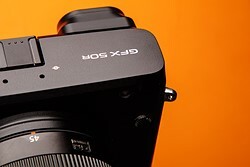 @Richard, it is also very interesting to see forthcoming Sony 60mp FF sensor. I think 100mp MF sensor is still on relative older technology and mainly just double amount of pixels while the 60mp Sony FF sensor (confirmed, not even a rumor) has the latest technology with clearly better DR (seems the new Sony sensor also will move to ISO 64), 16-bit RAW. Pixel amount is not everything (diminishing return) but DR and high ISO are more important. It's clever for Sony to reserve the best sensor for FF but older-tech MF sensor for MF camp. It's probably more a case of spending development money on the product that'll be most profitable, rather than preferring one format over another. It'll be interesting to see whether a 60MP chip could have enough DR to actually benefit from 16-bit ADCs (the engineers clearly think so). bigger sensor,bigger camera and lenses. I think Fuji wanted people to have the option of using like a FF rather than having to lug around tripods etc ,all the time. 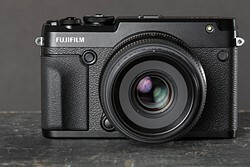 The cost of the larger sensor would have forced Fuji into a completely different cost bracket, for bodies as well as lenses. $30K for a kit, anyone? The first time I changed Lenses on my GFX50S, it was like screwing on a coke can. The flange diameter is huge compared to the 35mm. In all fairness, Nikon did do something about that with the Z mount.